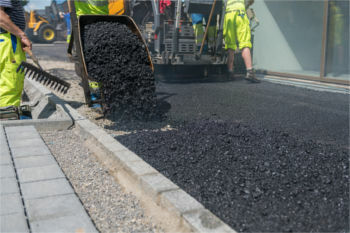 Asphalt sales saw a slight increase in 2018, although the industry is expecting sales to surge in the next few years as Highways England's Road Investment Strategy (RIS) hits full speed. Data from the Mineral Products Association (MPA) shows that the southern regions of England and Wales led asphalt sales in 2018, contributing to a 0.7% growth nationally and offsetting declines in most other regions. MPA's analysis suggests this modest growth is likely to reflect greater local authority activity, which may continue to grow in Q1 2019 following the chancellor’s Budget announcement of £420m of additional funding to tackle potholes, which must be spent in the current financial year. Many major projects on RIS 1 have yet to make an impact on the ground as the programme is heavily backloaded from 2019 to 2021. Elsewhere in infrastructure, mortar sales saw a major increase, suggesting that housebuilding in Great Britain remained buoyant in 2018. According to the MPA, mortar sales recorded their highest level since records began in 2004. Year-on-year mortar volumes increased by 14.3%, despite tailing off in Q4 with a 1% decline. The majority of mortar sales take place within six months of housebuilding projects starting, with increased volumes indicating that new starts were positive during 2018. Aurelie Delannoy, director of economic affairs at the MPA, commented: 'Like many sectors, construction is awaiting the outcome of Brexit negotiations, but our data shows that Great Britain is still building despite the uncertainty. 'In particular, strong mortar sales indicate continuing new housebuilding projects in 2018. Our analysis, based on actual sales and on-the-ground activity rather than sentiment, suggests this has been higher than forecasted by other metrics. The MPA is the industry voice for mineral products and represents over 520 companies across the £20bn sector. Its sales data is seasonally adjusted and drawn from the MPA membership, which covers 100% of GB cement production, 90% of aggregates, 95% of asphalt and over 70% of ready mixed and precast concrete production.